Click on Santa for some special Christmas music! Do you enjoy our music videos and guitar lessons? If so, please make a donation with PayPal. These are the songs recorded by our Guest Artists. Click on the song title to download and play the MP3 file, or right click to save to your computer. We performed at the 2006 Evening of Entertainment Show. 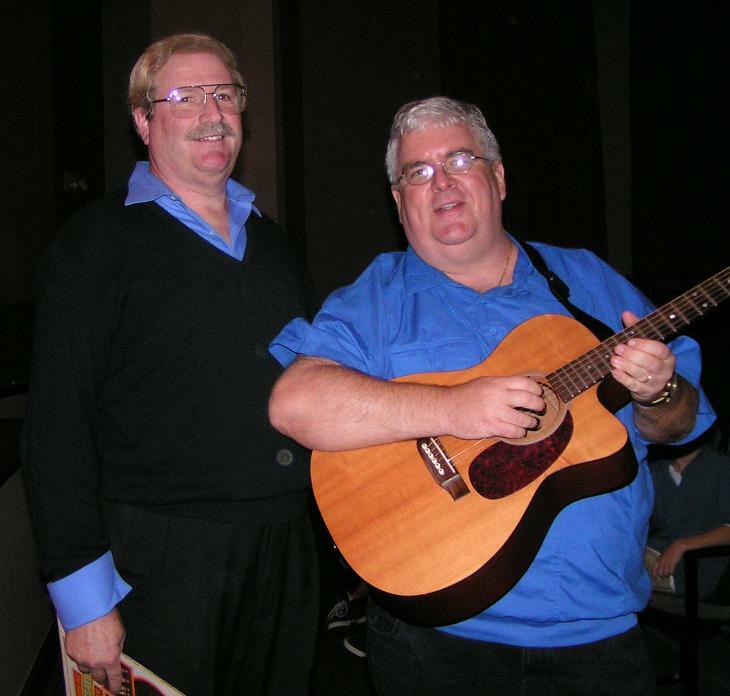 We performed at the Simon & Garfunkel Tribute in Charlotte October 2006. 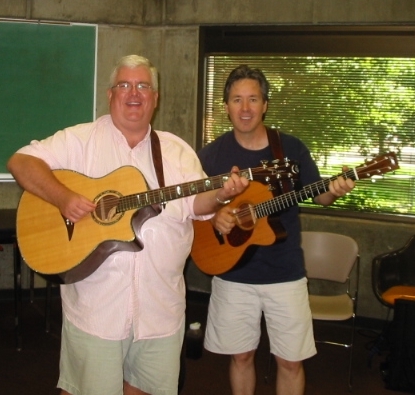 Mark Easley had a chance to study and sing with Pete Huttlinger at Swannanoa in 2005. Pete is a national guitar champion and the former lead guitar player for the John Denver band. Here is an original song by Mark performed at the folk week open mic from that year. This is a beautiful Josh Turner gospel number as featured in the 2004 spring show, sung by soloist Mark Easley Jr. Guitar by Mark Easley Sr.
Our own amazing local singing talent Danielle Curran stopped by GoldHat to record this mournful tune from the musical Ragtime, as featured in the 2006 spring show. This you gotta hear! 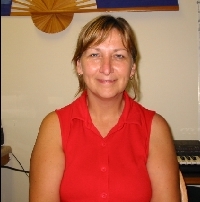 A wonderful recording by Bryttany Curran who stopped by the GoldHat Studios in April 2011 to record this beautiful praise song. What a powerful gospel voice she has. Give it a listen. 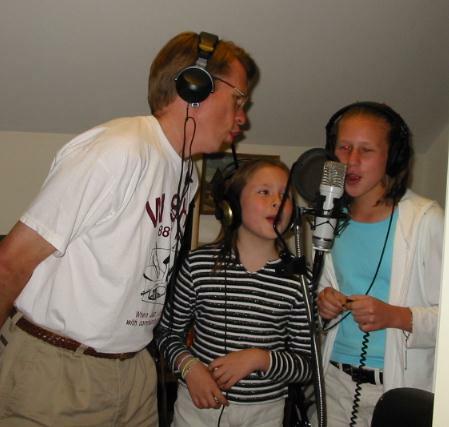 The very talented singing group from North Carolina State recorded some tunes at GoldHat Studios in 2006. Our friend and neighbor Ralph Gordon recorded at GoldHat in 2006. Joanne and Barry come to Swannanoa every year all the way from London Ontario. They make a great duet. 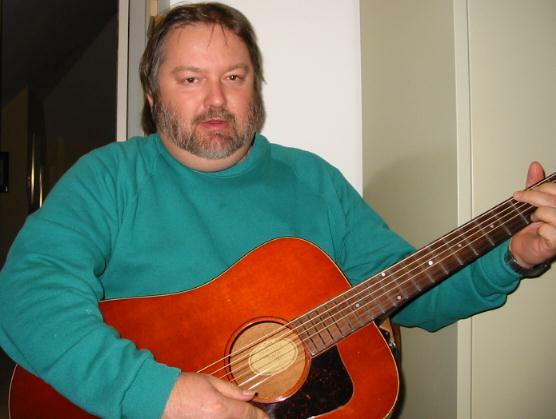 Here is a great original song by our Swannanoa songwriting friend Steve Simpson of Charlotte. Steve is one of the best songwriters I know. New! My old high school bud and music partner Kevin Mart has a hot band down in Phoenix. Here's a sample. Here is a beautiful Spanish language song written and performed in 2006 by our Swannanoa songwriter friend Kelle Olwyler of Asheville. Talented local blues singer Diane Rodelli performing at the NCSC open mic in Durham summer 2006. We had a chance to record our favorite local percussion band in 2006. A classic Eagles tune sung by Andrew Reuben at the 2004 spring show. This is one of the greatest examples of a Mississippi delta blues song you would ever want to hear. When I heard it being sung in the blues voice of my friend Rufus Dickerson I knew we needed to record it in 2004. Hopefully Rufus will be back to do more soon. 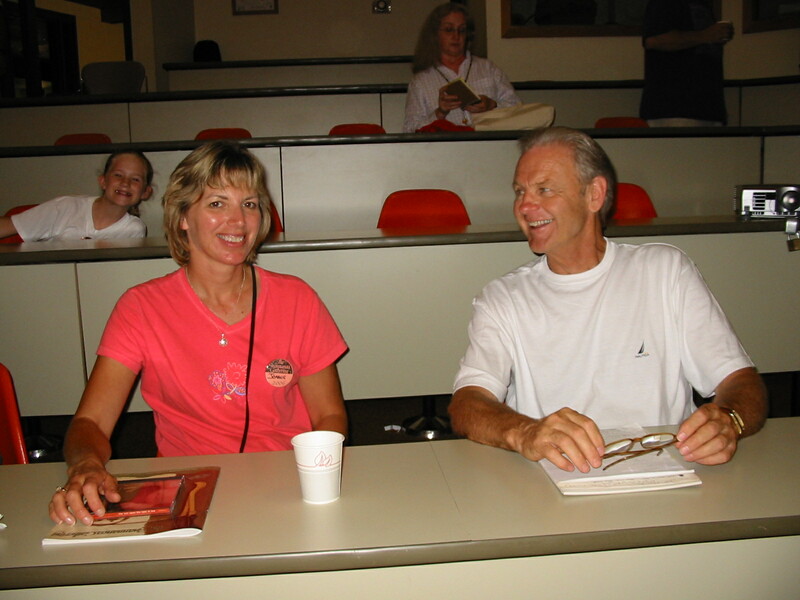 Written and performed by Uncle Steve Easley for his wife and two daughters at GoldHat in 2004. Copyright 2002 Easley and Associates. Classical guitar recorded in 2004 by Gilbert Tung, our best friend in Taiwan. Gil says he has been practicing more and loves to go to karaoke too..
Vocals and Piano by Cousin Cindy Rowen who is a wonderful Christian music leader. Guitar by Mark Easley Sr. Recorded in 2004.